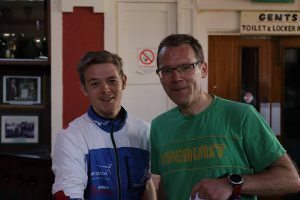 As well as our League event, Dumbarton 10k, we also had representation in the hills, on the roads and mixed terrain at Whangie Whizz Hill Race, Monklands Half, Glasgow’s Toughest Run, and Broughton Heights Hill Race. 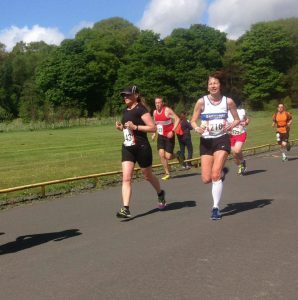 Delighted to hear that our Club President, Jill O’Neil finished 5th Female, and claimed a Silver medal in the Masters category of the West District Championships at Monklands Half Marathon and Paddy Gibbons won the Short Course of Glasgow’s Toughest Run! 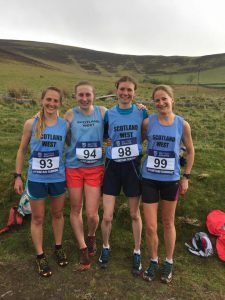 Katie White was selected to run for the Scotland-West team at the British Athletics Inter-Counties Hill Championships hosted at Broughton Heights Hill Race. She finished in 50:41, first home for the Wests Team and 7th Female.